Who are the Courses for? The Control of Asbestos Regulations 2012 requires that all employees whose work could potentially expose them to asbestos receive Asbestos Awareness Training. This applies particularly to demolition workers and workers in the refurbishment and allied trades, whose work may disturb the fabric of the building. To comply with requirement 10 of The Control of Asbestos Regulations 2012: ‘every employer shall ensure that adequate information, instruction and training is given to those of his employees who are liable to be exposed to asbestos or who supervise such employees’. 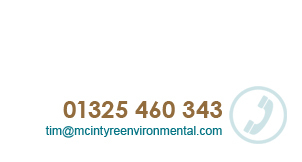 McIntyre Environmental can tailor courses to suit your employees and the type of environment in which they operate. 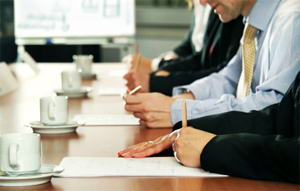 Courses will provide your employees with an understanding and appreciation of the legal and practical requirements to protect themselves from the risks associated with asbestos All of our courses can be conducted at a location of your choice, either on or off-site. At the end of the course each delegate will be tested and upon satisfactory completion, awarded an Asbestos Awareness Training Certificate. Book an Asbestos Awareness Training Course now. © 2011 McIntyre Environmental. All rights reserved.